In this episode we’re looking at women in the secret services, SOE and OSS during WWII. Women played a crucial role a number operating in the field as agents. In occupied countries it was easier for them to blend in than young men of military age. They were told that the only crime they must never commit was to be caught. Women of enormous cunning and strength of will, the Shadow Warriors’ stories have remained largely untold until now. In a dramatic tale of espionage and conspiracy in World War II, Shadow Warriors of World War II: The Daringe Daring Women of the OSS and SOE unveils the history of the courageous women who volunteered to work behind enemy lines. 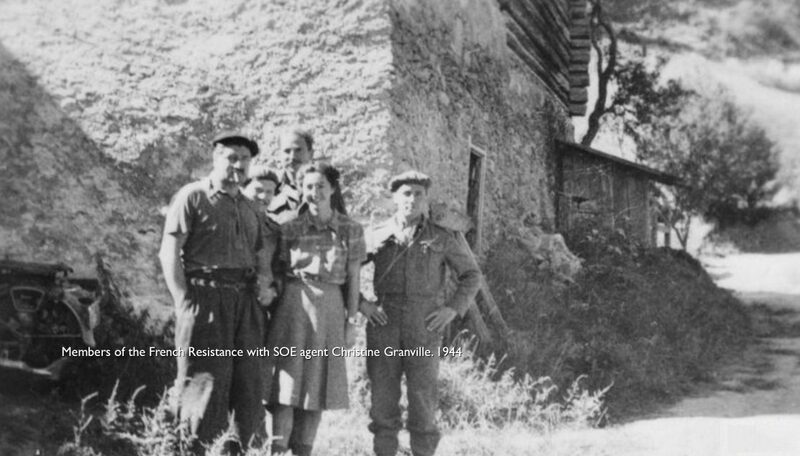 Sent into Nazi-occupied Europe by the United States’ Office of Strategic Services (OSS) and Britain’s Special Operations Executive (SOE), these women helped establish a web of resistance groups across the continent. Their extraordinary heroism, initiative, and resourcefulness contributed to the Allied breakout of the Normandy beachheads and to the eventual victory over Hitler. Young and daring, the female agents accepted that they could be captured, tortured, or killed, but others were always readied to take their place. So effective did the female agents become in their efforts, the Germans placed a price of a million francs on the heads of operatives who were successfully disrupting their troops. I’m joined by Greg Lewis. With Gordon Thomas he is the author of Shadow Warriors: Daring Missions of World War II by Women of the OSS and SOE.